Upon completion of this certificate you’ll have a broad analytical framework for evaluating and solving cybersecurity problems. Learn processes and techniques that are relevant to today’s data security landscape. Take advanced courses in network security, disaster recovery and risk management. 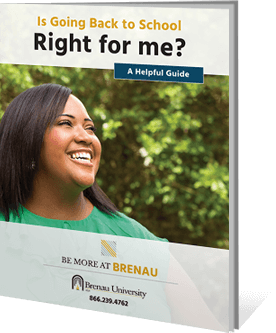 Brenau offers professional certificates to students who have completed a bachelor’s degree or higher at a regionally accredited institution. The cybersecurity curriculum features emerging topics in the field, so what you’re learning is on the cutting edge of data security. With a cybersecurity management professional certificate, you gain additional qualifications that supplement your bachelor’s, master’s or doctoral degree. This gives you a valuable competitive advantage. Plus, the data security industry is projected to grow 28 percent by 2026, according to the U.S. Bureau of Labor Statistics. In comparison, the average projected job growth across all U.S. occupations is 7 percent. A cybersecurity certificate is a solid investment in your career.